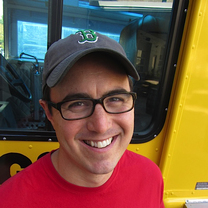 Rob Levitt has worked at Fiddlehead Cafe, del Toro, North Pond and 312 Chicago. 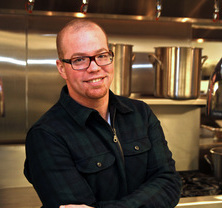 Rob and his wife Allison opened their restaurant, mado, in the Bucktown neighborhood of Chicago in April 2008. After three years of critical acclaim for their local, sustainable, whole animal approach to cooking, they decided to take the next step. 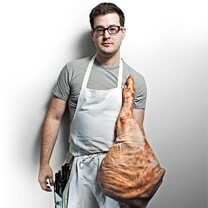 Levitt is probably the best-known butcher in Chicago; he created The Butcher & Larder in 2011, Chicago's first sustainable whole animal butcher shop. The Butcher & Larder is an evolution of their years of experience working with farmers and doing what they can to bring responsibly raised local meat to their community. 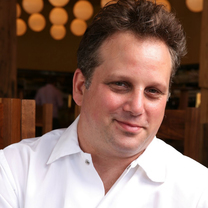 He has since left the company and is now the head butcher at Publican Quality Meats, the butcher and sandwich shop started by chef Paul Kahan and company. "I was sitting at the bar at @camillecogswell! #zatar"
"Need cookies? Pqm's one off pastry team cookie tins.....oh boy!" "Made by Publican's pastry chef Anna Shovers, the cowboy cookie hits on all levels. How can you not love a cookie that's made with chocolate chunks and potato chips."